In 2012, when Paul Brunner and his family took over the pioneering Blue Grouse Estate Winery on Vancouver island, they could not have predicted what they would undertake over the next seven years. For El Viento de Lancaster, our team developed the bobblehead inspired by the popular sugar skull, a symbol of Día de Los Muertos (Day of The Dead) and its decorative box. The bobbleheads will be distributed to a thousand El Viento fans in the first Friday night game of the season (April 5, 2019). Pretty fun swag! As Spring starts and days warm up, vines are being pruned, vintages released, and a new property inaugurated. Check out what the Etsell family has prepared for Singletree Winery over the next few months. Attending ProWein? Make sure to check our client’s booth at the event. The consortium of Conegliano Valdobbiadene Prosecco Superiore DOCG is celebrating their 50th anniversary this year and will be celebrating with attendees at the fair. In Düsseldorf, Germany from March 17th to 19th, the Producers’ Consortium of Conegliano Valdobbiadene Prosecco Superiore DOCG invites you to taste their vintage 2018 selection of sparkling wines from the historic area of Prosecco production, Conegliano Valdobbiadene, including Cartizze and Rive. The Producer’s Consortium booth can be found, at Hall 15 stand F21 and is hosting 24 DOCG wineries, including small producers and big sparkling wine companies. The producers will be present on site, an opportunity to exchange knowledge about this historic area of Processo production with the specialists. The name Prosecco Superiore DOCG signifies top quality and highest standards in the vineyard and winery, as well as concentrated flavour and balance within each sip. Their tradition has been recognized over the last five decades and we are proud to represent the Consortium and their legacy in Canada. The Vancouver International Wine Festival is Feb 23 - March 3, 2019. Town Hall Brands is proud to do the PR for TIME Winery, as well as Okanagan Crush Pad, which has two tables: for its Free Form and Narrative labels. These are must-see BC wineries. Let our team know if you need more information or want to meet the people at these brands. To mark Valentine's Day, Okanagan Crush Pad sparkling winemaker Lynzee Schatz made a very limited quantity of delicious Haywire Pink Bub using Pinot Noir and Chardonnay grapes. Get out your stretchy pants, Vancouver, because the 17th annual Dine Out Vancouver Festival kicks off today! Over the next 17 days (until Feb 3) Vancouverites will be able to try dishes and drinks from the best chefs and producers in the region and we have a handful of BC winery clients whose amazing wines are featured in menus around town. Blue Grouse Estate Winery is starting the new year with tremendous recognition for its quality! In late December, they captured a double platinum award for the 2016 Quill Pinot Noir at the 19th Annual Wine Press Northwest Platinum Competition. To add to that, the winery ended 2018 with the coveted spot for Best Island Winery from Times Colonist readers. "We are honoured to be given such recognition by our Vancouver Island customers," remarked winery owner Paul Brunner. "My thanks to our winery team who have worked so hard for this accolade. It's a hell of a great way to start the new year!" In the heart of Vancouver Island is Blue Grouse Estate Winery, a hidden Cowichan Valley gem. Family-owned, sustainably-farmed and multi-award-winning, the winery and surrounding vineyards are a sought-after destination not only for sampling the winery's portfolio of top-quality wines, but also for events, picnics and family adventures. The tasting room is open 11 months of the year for visits and tastings. Visit bluegrouse.ca, for the winery's upcoming events such as Soup Saturdays, pruning workshops, long table dinners, concerts, and more! Book your next weekend retreat at the Grouse House. The quietude of the surrounding vineyard and natural serenity is the place to be for a weekend relaxation and recharge. Contact jennyg@bluegrouse.ca. November to December: 11am - 5 pm, open Wednesday to Sunday. For the hours when you plan your visit, see bluegrouse.ca or 250-743-3834. As we reflect on the year that was, Andrew and Leeann would like to thank the Town Hall Brands team, clients, and all of those in the public, trade, and media who support our clients. Just in time for the holidays, Tinhorn Creek Vineyards has received an armful of medals from the 19th Annual Wine Press Northwest Platinum Competition. 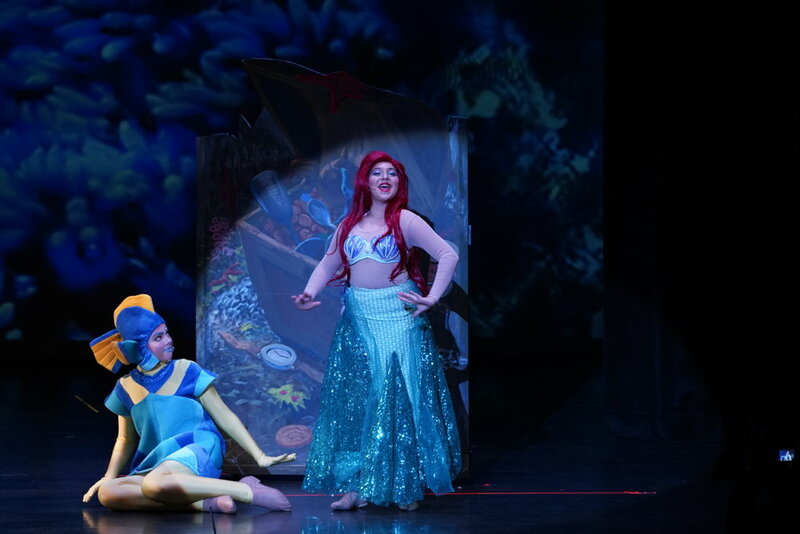 Following the success of Aladdin last year, and The Little Mermaid Jr. in fall 2018, The Children's Theatre of Richmond Association is prepared to step into the spotlight in 2019. We now have dates for two of their productions: Cinderella G2k and Mary Poppins Jr. and e would love for you to help us spread the word for this burgeoning theatre company. Fun fact: director Heather Ondersma has worked on Broadway! Founded by Lily Yuan, the Children's Theatre of Richmond Association(CTORA) is a non-profit organization that provides opportunities to support young artist and youth in the Lower Mainland, Vancouver community. Media: please email us at info@townhallbrands.com if you want more information or interview opportunities. [Oliver, BC] Black Hills Estate Winery (Black Hills) is excited to announce its new head winemaker, Ross Wise. Wise brings with him a breadth of expertise to the role of head winemaker at Black Hills Estate Winery. Originally from New Zealand, Wise holds a Bachelor of Viticulture and Advanced diploma in Wine Science from Charles Sturt University in Australia. He has worked with renowned producers in New Zealand and Ontario before the cool climate wine industry in British Columbia drew his attention. After 16 years of winemaking, viticulture and consulting experience, Wise and his family settled in Oliver, British Columbia. Prior to Black Hills, Wise was head winemaker and general manager at Phantom Creek Estate. Wise holds a WSET Level 4 Diploma in Wines and Spirits and is pursuing his Master of Wine. Ross Wise at Black Hills Estate Winery - Lionel Trudel Photo. "We are thrilled have Ross join us at Black Hills," enthuses Glenn Fawcett, chief wine evangelist. "We conducted a wide-ranging international search for our new winemaker that resulted in several outstanding candidates, and Ross stood out for us." Fawcett continues, "His passion for the craft and our Black Sage Road terroir, combined with his extensive experience, academic credentials, and endearing personality, made his selection a natural for us." Wise is keen to assume the new role. "I'm really looking forward to joining the Black Hills team in January," he notes. "This is a great opportunity to be part of the next chapter of one of the Okanagan's most recognized and respected wineries. The ability to focus on making premium red wines such as Nota Bene," he continues, "is a big draw for me." Wise is eager to get to know the Black Hills Estate vineyards intimately to make wines that clearly reflect their origins. "I hope to continue to elevate the outstanding quality of Black Hills wines, using precision and high attention to detail in the vineyard, combined with gentle and thoughtful winemaking," he shares. Fawcett is equally excited. "We are extremely confident that Ross Wise is the perfect person to carry the winemaking torch at Black Hills and help us continue our journey to the next level." Wise joins the winery team effective January 7, 2019. Photos of Ross Wise and Black Hills Estate Winery available via Dropbox. [Summerland, BC] Okanagan Crush Pad winery announces its Haywire Free Form White 2016 has made Decanter magazine’s Most Exciting Wines of 2018 list, placing in the top 10, with a score of 94 points. In the January 2019 issue, Decanter’s experts from around the world named the top 50 bottles under £60 that impressed them most this year, with Oz Clarke calling the Haywire an “astonishing Canadian Sauvignon Blanc”. The winery, while no stranger to UK wine circles, is beyond excited to have these kudos. The focus at Okanagan Crush Pad is on authenticity and quality. Free Form wines are made using organic grapes, native yeast, extended skin contact, are free of commercial additives, have little to no sulfites added, and are unfiltered. While the 2016 Haywire Free Form White is now sold out, customers seeking to experience Free Form wines can visit okanagancrushpad.com. Okanagan Crush Pad has quickly built a reputation as a premium producer and has received many awards and accolades since its launch in 2011 with chief winemaker Matt Dumayne at the helm. Christine Coletta and Steve Lornie created Okanagan Crush Pad as a purpose-built custom crush facility. Increasingly, the facility is used to craft the team’s own wines and now produces 45,000 cases annually. From here, their own wines, Haywire, Narrative, and Free Form are made. Located in beautiful Summerland, BC, the winery overlooks Switchback Organic Vineyard, a site that is also home to chickens and ducks. Dumayne and his cellar team craft wines using concrete wine tanks, native yeast and minimal winemaking intervention. The wines reflect the region’s unique high mountain/northern desert setting noted for its intensely hot, short growing season with hallmark cool evenings and winters that bring a protective covering of snow. Visitors to the tasting lounge, set in the heart of this state-of-the-art facility, get a rare glance into the art of winemaking. Watch the cellar team in action, discover concrete tanks, and learn how the team composes wines that are definitive expressions of their vineyards. For more information visit: okanagancrushpad.com. [Abbotsford, BC] Singletree Winery is proud to share they have captured a Business Excellence Award for Best Tourism Experience. Presented by the Abbotsford Chamber of Commerce and The Abbotsford News, the 23rd Annual Awards ceremony took place November 23, to recognize outstanding organizations and individuals in Abbotsford that strive for excellence in the community. Thirteen awards were handed out, with Singletree earning the trophy for Tourism Excellence. Sponsored by Tourism Abbotsford, the Tourism Excellence award demonstrates that Singletree Winery is a leader in its industry, with a commitment to customer service, a concern for the community, and a passion for innovation. Singletree Winery is owned by the Etsell family, who has been farming in the Fraser Valley for over two decades. Under their Singletree banner, and with careful attention to the land, the Etsell Family is committed to showing the world what the Fraser Valley is capable of. The Singletree Winery team: L-R: Laura Preckel, Andrew, Debbie and Garnet Etsell. "Our family is thrilled and honored to receive this award of excellence from the business community," remarks winery owner Debbie Etsell. "Family and staff work diligently to make each guest's experience and time at Singletree Winery enjoyable and memorable," she continues. "To be recognized as a leader in this field is truly monumental." Since establishing their winery in 2015, the family has aimed to provide both a hospitable experience and quality wines, as they forge their place in the British Columbia wine industry. The Abbotsford vineyard and tasting room is located on a 67-acre operating farm in Mt. Lehman, only 45-minutes from Vancouver. 14 acres of estate vineyard contribute to award-winning BC VQA wines. Their tasting room is open year-round to present these cool climate varietals, including their extremely popular Siegerrebe and Grüner Veltliner wines. Visitors love the friendly vibe and the picnic area where they can enjoy locally-smoked meats, cheese and other seasonal selections. Special events held at the winery throughout the year always draw a crowd. The winery's special events area in the heart of the vineyard adds a special touch to weddings, corporate events, birthdays or the winery's own experiences. In last Summer 2018 the Etsell family purchased a second winery location in the Okanagan on the Naramata Bench. Closed for the winter, the Naramata tasting room will officially open in spring 2019. The Abbotsford winery is open year-round, and the team invites the public to join them in Abbotsford this winter. On December 8 from 12 to 5:30pm Singletree Winery in Abbotsford will devote the day to "Entertaining with local wine this Christmas". Admission is by donation with proceeds to the Mt. Lehman Community Hall, to assist with renovations. Attendees will enjoy appetizers made with their house-made wine jellies, white mulled wine, recipes for sparkling cocktails. and recipes for entrees with wine. Check out Singletree on social media @singletreewine to keep up with the latest. Singletree Winery Fraser Valley is in the Mt. Lehman area of Abbotsford, and Singletree Naramata Bench opened in 2018. The Etsell family has deep roots in the agricultural community. With careful attention to their land, they are committed to showcasing the best of British Columbia: the Fraser Valley, which provides a lineup of aromatic, crisp, and juicy wines that highlight this unique terroir; and Naramata Bench in the Okanagan, where the glacial soils and warm climate produce luscious red wines. Their portfolio includes Siegerrebe, Sauvignon Blanc, Pinot Gris, Chardonnay, Grüner Veltliner, Late Harvest Kerner, Pinot Noir Rosé, Wild Ferment Siegerrebe, a white blend called Homestead, Harness, a Bordeaux-style red blend, and a traditional-method sparkling wine called Victory. The wines are made by second generation family member Andrew Etsell. The Fraser Valley winery is open for visitors Wednesday through Sunday, from 12 noon to 5:30pm. Naramata is open only by appointment. Visit singletreewinery.com to join the wine club and for more information on picnics, events, weddings and much more. [Penticton, BC] Downtown Penticton's TIME Winery is thrilled to announce that its 2017 Riesling has won Top White Wine in the Top 20 Wines for this year's Cornucopia presented by BlueShore Financial. Judged by a panel of 13 esteemed industry experts in a closed, blind-tasting session, this year's competition saw an impressive number of submissions, especially from the British Columbia wine region. Capably made by winemaker Nadine Allander, with delicious mineral aromas of lime, lemon zest and stone fruit, the food-friendly TIME Riesling 2017 also marks as the only Riesling to win in this year's Top 20 Wines. "We are honoured to receive this recognition from Cornucopia. For a British Columbia wine like the TIME Riesling to win Top White Wine, it helps to showcase the quality of our local wine region and encourages more people to try a glass of wine from British Columbia," shares Harry McWatters, president of TIME Winery. TIME Winery's award-winning Riesling will be available to taste during Cornucopia's Signature Tasting: Crush Grand Tasting event on Saturday, November 10 (8:30pm). Tickets on sale now. For those unable to attend, the TIME 2017 Riesling ($25.00) is available to order via Encore Vineyards. The full list of Top 20 Wine winners is available online. High-resolution photo assets available via Dropbox. While the literal definition of TIME may be elusive, it is an observed phenomenon which allows us to honour key moments in our shared journey through life. With 50 vintages of experience in the South Okanagan, TIME Winery is committed to creating wines that express the unique flavours of Okanagan wine country. Built within a revitalized historic theatre in downtown Penticton, the heart of South Okanagan wine country, the new TIME Winery offers a tasting bar, lounge and intimate outdoor patio for guests to enjoy. TIME Winery's full kitchen and event space provide a unique venue for your next public or private event. [Summerland, BC] On September 27, Christine Coletta, owner of Okanagan Crush Pad (OCP), has been presented the Founders Award at the Okanagan Fall Wine Festival. Coletta has been presented the award in recognition of her contributions to the BC wine industry. When presented the award in front of industry peers by industry veteran Harry McWatters of ENCORE Vineyards, Coletta said "I was very touched to receive this award. It was emotional to see my name added to a trophy containing the names of people who have worked tirelessly to create a thriving BC wine industry over the past 30 years." This award is a further recognition for Coletta's passion and leadership in propelling the industry forward and to rise on an international level. Coletta has worked tirelessly to advocate for and to improve the Canadian culinary scene. Coletta started her career in hospitality as a server during her early years and it was in the 1990s that her leadership and dedication for the industry took off. As founding executive director for the BC Wine Institute, Coletta forged VQA as a standard to support the local wine industry and its various marketing activities. In addition, she co-founded Wines of Canada, the national wine standards arm. Under that umbrella, Coletta developed a roadshow that crossed Canada to encourage support for local food and wine. After helping numerous BC wineries establish their businesses, Coletta launched her own wine, Haywire, and Canada's first purpose-built custom crush winemaking facility at OCP. Since 2011, Coletta has assisted more than 15 BC wineries in their winemaking via OCP. Coletta has also been on the leading edge of Canada's organic farming and winemaking movement, establishing OCP as Canada's top producer of wines made from organic grapes and without additives or manipulation. Earlier this year, when the government of Alberta held a boycott on BC wine, instead of responding with retaliation, Coletta led and set the tone for collaboration, by initiating a BC wine and Alberta food event. And above this, Coletta doesn't keep her knowledge and ideas to herself. She shares her resources and continually offers advice and encouragement to not only her own team and people, but also her community and industry. Her most recent project is on the team that formed the Okanagan Wine Initiative, where seven leading BC wineries have united to share resources and to collaborate on various projects internationally, across Canada, and in their home market, British Columbia. With another accolade added, Coletta will continue to innovate and propel the industry forward to become a premium wine producing region and a superb wine tourism destination. Okanagan Crush Pad is Canada's first purpose-built custom crush winery facility, located on the 10-acre Switchback Vineyard in Summerland, BC. Owned by Christine Coletta and Steve Lornie, Okanagan Crush Pad focuses on making wines that celebrate purity and simplicity, and aim to lead the next evolution of Okanagan wine. Visitors to the tasting lounge, set in the heart of this state-of-the-art facility, get a rare glance into the art of winemaking. Watch the cellar team in action, discover why the team makes wine in concrete tanks, and learn how the team composes wines that are definitive expressions of their vineyards. [Cowichan Valley, BC] Blue Grouse Estate Winery (Blue Grouse) has received three regional awards from the second annual Wines of British Columbia's Best of BC Wine Country Awards 2018. Created by the BC Wine Instiute, the annual Best of BC Wine Country Awards is a crowd sourced campaign that invites the public to vote online for their favourite BC wine experiences. 2. Best of BC Winery Accommodation(Vancouver Island) for the award-winning Grouse House. 3. Best of BC Special Events (Vancouver Island) for weekend occasions, weddings and more. "Our entire team, including Deano, is extremely flattered and thankful for this recognition," shares Paul Brunner, owner of Blue Grouse Estate Winery. "With some of the oldest vines on Vancouver Island, we aim to create a unique tourism experience that inspires people to visit the beautiful Cowichan Valley. Our award-winning Grouse House, special events held at the winery (such as our Soup Saturdays) and our heart-stealing winery dog Deano are just a few components our dedicated team puts forward to create lasting experiences. We look forward to welcoming you in the upcoming year!" From live musical performances to local art showings and tastings, Blue Grouse invites you to follow their upcoming event listings online . As well, book the Grouse House for an exquisite vineyard retreat. Feel your worries melt away as you wake up to the surrounding vineyard filled with natural serenity. The Blue Grouse tasting room is open all year; daily from 11am - 5pm until September 30; and Wednesday through Sunday 11am - 5pm from October 1 to December 31. Accompanying photos of Deano, the Grouse House and events at Blue Grouse are available here. The Children's Theatre of Richmond Association (CTORA) is excited to announce that their 2018 program runs in November and December with two musical productions from Disney's The Little Mermaid Jr. and Beauty and the Beast Jr.
Lily Yuan, CTORA founder and producer, shares, "Last year's production of Aladdin was a huge success, so we expect The Little Mermaid Jr. and the Beauty and the Beast Jr. to sell-out quickly this year. We not only have a talented team of young performers and renowned directors, we have also incorporated original art with digital technology to bring audience a stunning, lively, and one-of-a-kind performance stage." 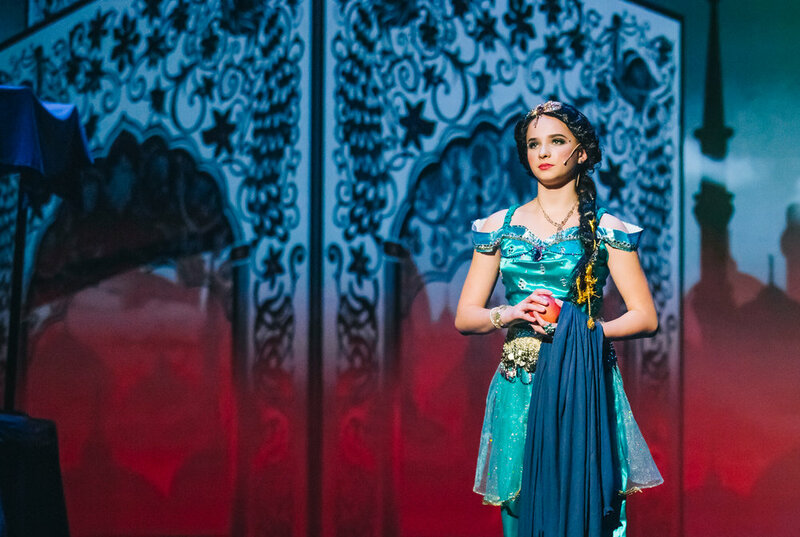 Following last year's sold-out Aladdin musical production, this year's The Little Mermaid Jr. and the Beauty and the Beast Jr. are expected to sell-out quickly. Performance credit: Universal NBC's Nina's World; ABC's Once Upon A Time. Performance credit: Marvel's (short-series) Black Spiderman, Chopped Canada Junior. Performance credit: Universal's Aliens Ate My Homework; ABC's Siren. With more than 22 years of global musical theatre production experience, Emma Swords is the creative director behind this year's The Little Mermaid Jr. Swords' previous musical theatre production experience include: Oliver, Mulan, Aladdin, Les Misérables and West Side Story. Canadian surrealist artist Michael Abraham has generously offered to hand-paint props and backdrops to create a lively experience for audience. Props and backdrops created by Abraham will include Ursula's cave, mirrors from the mermaids, and much more. As well, a Vancouver-based digital media company, FStar Media, has utilized 3D mapping technology to showcase the 20 animated backdrops that bring the show to life. "This year's show embraces technology and mixes it with traditional art, while celebrating the culture and talents of the young generation in our community," adds Yuan.